The 16.4' (5 m) Ultima USB 2.0 A/B Cable from CablesToGo is used to connect a USB device with a standard "B" type connector to a computer with a standard "A" type connector. It is fully compliant with the USB 2.0, 1.1, and 1.0 protocols. 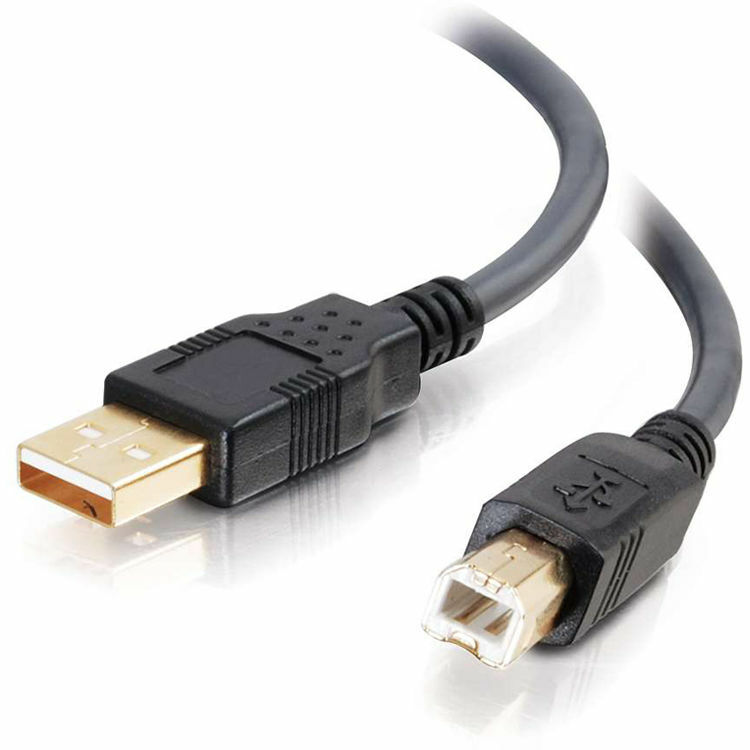 Box Dimensions (LxWxH) 7.4 x 5.3 x 2.2"
16.4' (5 m) Ultima USB 2.0 A/B Cable (Black) is rated 5.0 out of 5 by 7. Rated 5 out of 5 by BufMan from Solid product, delivered fast. Using to route 32 audio channels from a sound board. Rated 5 out of 5 by Island Lady from Fine cable, excellent price This 16.4' cable connects my computer and Epson 4900 printer across the room. Even though a cable no longer than 10' is recommended, this longer cable seems to be performing well. I do not notice a delay in transmitting. Purchased through B&H Photo with excellent price. My local big-box office store offers a shorter one for 3 times the B&H price. Rated 5 out of 5 by David Photo from GREAT CABLE at a GREAT PRICE I just love BH Photo! This cable was 1/3 the price of those at local electronic stores. And it works like the expensive over=priced ones! Rated 5 out of 5 by Photographer and printer from Just like you'd expect Great length for a usb cable, my desk is long and I had to replace most of my cables so I could put things where I wanted them. Rated 5 out of 5 by Uncle Donald from Just what we needed Needed to connect to a scanner across the room.